Each year Vermont Ski and Snowboard Museum presents The Vermont Ski & Snowboard Hall of Fame™ which honors athletes, pioneers and special contributors of Vermont skiing and snowboarding who promoted and/or contributed to the sport of skiing or riding in Vermont. Their accomplishments are recognized at an Induction Ceremony and their histories are documented in the Vermont Ski and Snowboard Museum’s collection as part of the permanent Vermont Ski & Snowboard Hall of Fame exhibit. Thank you to the Brownington Foundation and our sponsors for supporting the production of annual documentaries about the inductees, and to the Oakland Foundation for providing funding to add video clips to this site. Know someone that you would like to nominate to the Hall of Fame? Click here. Biathlete Olympian Dennis Donahue grew up in Essex Junction, went to Middlebury College, and currently resides in Thetford. He raced internationally from 1968 to 1976, representing the Putney Ski Club. He competed in the 1972 and 1976 Olympics. He participated in five World Biathlon Championships. After seven years teaching and coaching at the Holderness School, he has spent 30-plus years dedicated to the development of competitive junior skiing in New England at the Ford Sayre program at both national and regional levels, and was actively involved with Junior Olympics. He continues to coach at Ford Sayre today! As an avid promoter of the values inherent in alpine skiing, Foster Chandler was an integral figure in bringing the sport of skiing to the public at large. 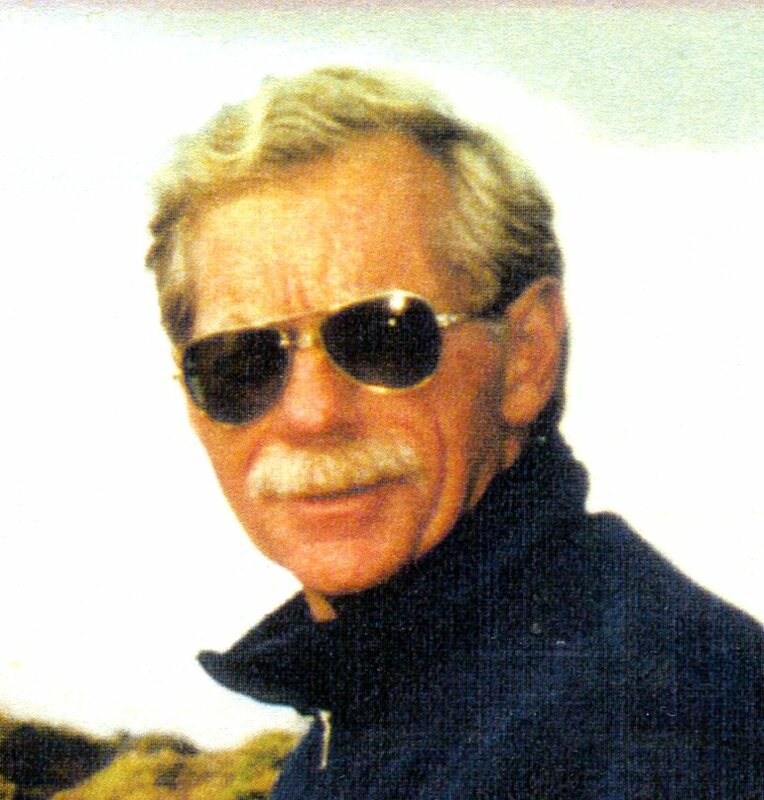 From 1964 to 1996 he was Vice President and Director of Marketing of Killington Ski Area where he helped grow Killington into one of the largest ski areas in the country. He spearheaded the mass marketing of the Graduated Length Method that revolutionized the way people learned to ski, resulting in the major growth of the sport in the 70s and 80s. He was founder and President of Ski New England for 20 years, Director of New England Ski Areas Council for 46 years, and for 8 years was Chairman of the Vermont Travel Council, and member of the Vermont and National Ski Area Associations marketing committees. Foster has skied 196 ski areas. Freestyle mogul skier, Olympic and World Championship medals winner, Hannah Kearney grew up in Norwich, attended Hanover High, and graduated from Westminster College in Salt Lake City, Utah. With 117 World Cup starts, she was on the podium seventy-one times, winning forty-six events. During the 2010/11 and 2011/12 seasons, she won a record-setting sixteen World Cups in a row. Over her career, Hannah competed in three Olympic Games (2006, 2010, 2014) winning a gold medal in Vancouver and a bronze in Sochi. She also won eight World Championship medals, three gold; and ten F.I.S. World Cup crystal globes. 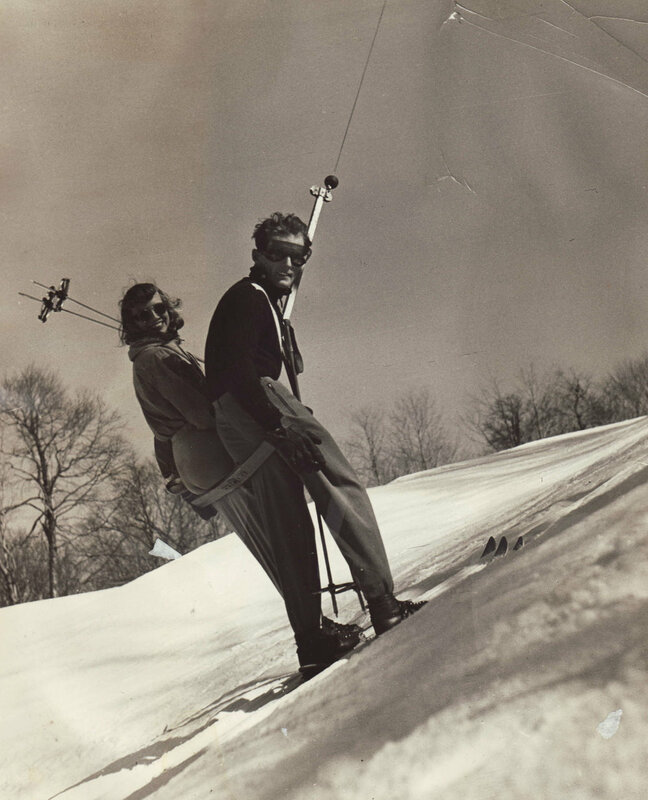 Pico Peak founders Janet and Brad Mead opened their ski area in Rutland on Thanksgiving Day 1937 with a rope tow on Little Pico. In 1938, Sunset Schuss opened on a hike-up basis, and Karl Acker came from Switzerland as the Ski School Director. The Meads installed the first T-bar in the US in 1940. Janet ran the ski area until 1954 after Brad’s tragic death in 1942 focusing on youth programs as their daughter Andrea Mead Lawrence succeeded internationally in ski racing, winning two Olympic gold medals in 1952. Industry pioneer Paul Johnston accumulated many “firsts” in his thirty years of ski resort management to his credit, most notably as Vice President of Stratton Mountain where he opened the slopes to snowboarders and staged the U.S. Open of Snowboarding at Stratton starting in 1985. Keeping in step with the growth of snowboarding he brought in specialized Bombardier grooming equipment, including a pipe grinder, Stratton was able to introduce halfpipe events at the 1998 U.S. Open. As the number of riders at areas quickly grew, he was instrumental in helping other resorts navigate best practices for instructors, equipment, and liability. He also worked at Bromley Mountain, installing snowmaking and the first alpine slide in the 1970’s. 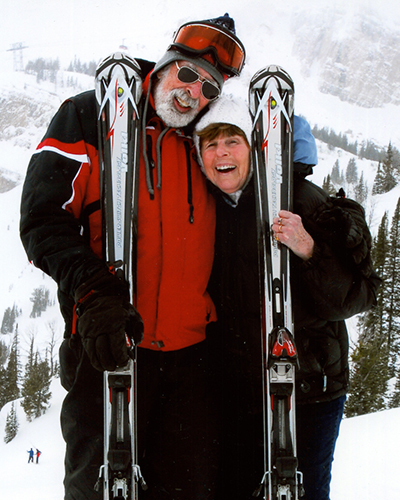 The husband and wife team of Chuck and Jann Perkins opened the Alpine Shop in Burlington in 1963. For the next 47 years they were a hub of ski culture and a gathering place for skiers and riders. Later their daughter Peg and husband Scott Rieley joined them in the business. The family sold it in 2011. As fans of ski history and collectors of ski memorabilia, they became friendly with Roy Newton, founder of the Vermont Ski Museum. They helped raise money to purchase Newton’s collection and move the museum to Stowe. With a group of dedicated volunteers, they convinced the town of Stowe to lease a condemned meetinghouse on Main Street to house the collection. They have been board members and life members since the start of the museum, and “promise that it will always be an asset to the village of Stowe”. Williston native, Ann Battelle learned to ski at Cochran’s Ski Area and Bolton Valley. After watching her first World Cup mogul event held on solid ice bumps on the steep Wilderness Trail at Whiteface, she found her calling. After graduating from Middlebury College, she moved to Steamboat, Colorado and started competing in mogul competitions. Ann is a two-time World Cup Champion, won the World Championships in 1999, competed in four Olympics and was a U.S. Freestyle team member for 11 years. She retired after the 2002 Olympic Games. Jim Fredericks first learned to Nordic ski at Johnson State College and went on to become a well-known eastern racer. His coaching career began at his alma mater and then, in 1978, he started the Craftsbury Nordic Ski Center program. Fredericks then launched the Nordic racing program at Green Mountain Valley School. He went on to work with Rossignol’s Nordic products and athletes. When Rossignol moved its operations from Vermont, Fredericks chose to stay in Underhill and became the Catamount Trail Association's Executive Director and a successful promoter of backcountry skiing in Vermont. In 1975 Waitsfield’s Dickie Hall founded North American Telemark Organization (NATO) and the annual Telemark Festival at Mad River Glen. For decades the festival attracted over a thousand skiers to the event each year. NATO held workshops, camps, expeditions, and guide and instructor training in all U.S. skiing states. Hall produced five movies on telemark and backcountry skiing, consulted and trained staff for the nation’s leading outdoor schools. and was an adjunct professor of ski mountaineering for the University of Alaska Wilderness Studies Program. Thank you to these Hall of Fame sponsors! Thank you to these sponsors of our Hall of Fame films!